We will match you to a Mortgage Advisor who will understand your circumstances and help secure the best remortgage deal for you. Find out what your remortgage options are. It takes just 60 seconds and doesn’t require a credit check. 1 minute. That’s all it takes to find out if you are likely to be accepted for a remortgage and it won’t impact your credit score. We will match you to a Mortgage Advisor who will understand your circumstances and help secure the best remortgage for you. Remortgaging in the United Kingdom right now is quite an attractive proposition for some, but not for those who have bad credit or less than straightforward income picture. For many people, the process of remortgaging is as simple as can be, but with lenders tightening their belts in recent years, what might seem like minor issues can really put a halt to proceedings. Applying to remortgage with the company you already have your existing mortgage with can seem like the most logical step, but doing so can really narrow the field down for you. With mortgages most often in the hundreds of thousands, just a few percentage points can make a big difference to the amount you pay each month, so getting the best deal possible is important and searching the market is the way to do it. One important factor to consider when you are remortgaging is the amount of equity you have in the property, compared to the amount you still owe on your mortgage. This ratio is known as your Loan to Value (LTV) and the larger the amount you actually own in your property, the more products that you’ll have open to you. The remortgage rates on offer right now are some of the lowest the market has ever seen, although it’s important that you check the small print of any deals that you see advertised, as they can often include a nasty surprise in the form of application and arrangement fees. It’s also vital that you look at the entire cost of your remortgage, rather than just being drawn in by the flashing lights of the headline offer. The particulars of your own financial situation will have a large bearing on your application to remortgage, as the criteria that must be met can vary a lot from lender to lender. Some mortgage companies will only base their decision on your main income, whilst other more flexible lenders will take other earnings, share dividends and self employed income into account. Your credit score will also affect the deals that are open to you, as new responsible lending guidelines since the Credit Crunch mean that if your score isn’t great, it can really limit your chances with mainstream lenders. However, it doesn’t mean that you can remortgage. It just means you have to apply to a lender who caters for people with poor credit. As we said before however, the more equity you have in your property, the less of a problem that this will be, as long as you can prove affordability. Remortgaging can be used to pay off debts, provide funds for home improvement or anything else you see fit to spend it on. Before you jump into anything, we would always suggest doing your homework and really exploring the market to see what deals are out there. A great, much less time-consuming way to ensure that you’re really getting the best there is in terms of mortgage deals is to talk to a mortgage professional who really knows the market. At Niche Mortgage Info, we have teamed up with a specially selected group of mortgage advisors, who have access to deals you won’t find anywhere else. There are remortgage deals out there that you simply won’t see unless you know where to look, which is what makes using a broker such a good move. 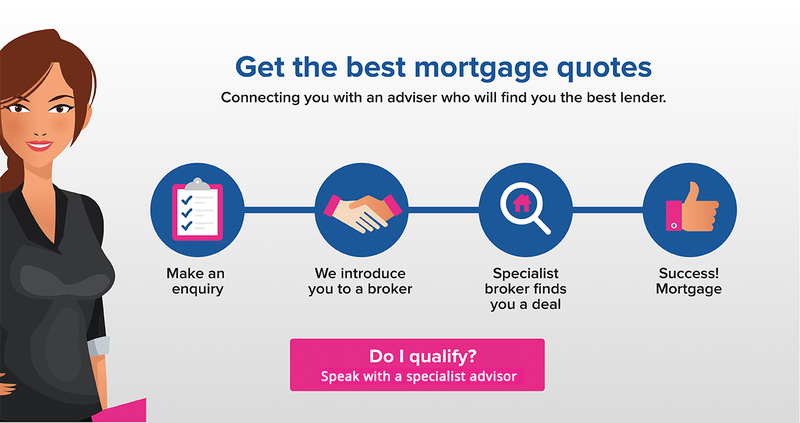 So, if you’re in the market for a remortgage and you want some expert assistance, have a talk with one of our recommended mortgage brokers to get the lowdown on what’s hot and what’s not on the market. Also, please see a further guide here.